More than a year after her death, Carrie Fisher is still collecting accolades. 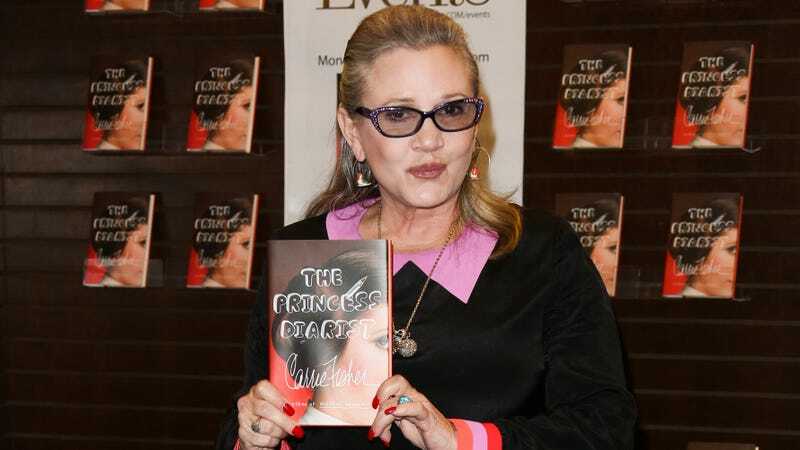 According to The Hollywood Reporter, in a pre-show ceremony this afternoon in advance of tonight’s telecast on CBS, Carrie Fisher beat out Bernie Sanders, Bruce Springsteen, and Neil Degrasse Tyson (among others) to win the 2018 Grammy for Best Spoken Word Album for the audiobook version of her memoir The Princess Diarist, as read by Fisher herself. This is Fisher’s first ever Grammy award, and second nomination, as she was also nominated in the same category for her book Wishful Drinking in 2009. Fisher was also posthumously nominated for an Emmy for her role on Catastrophe last year; that award ended up going to Melissa McCarthy.